KARACHI: Builders and developers are confident of erecting more high-rise buildings this year, with one stakeholder estimating the projects� worth to be around Rs40bn-50bn. Despite law and order situation, builders continue launching new projects in relatively safer areas like North Nazimabad and F.B. Area. 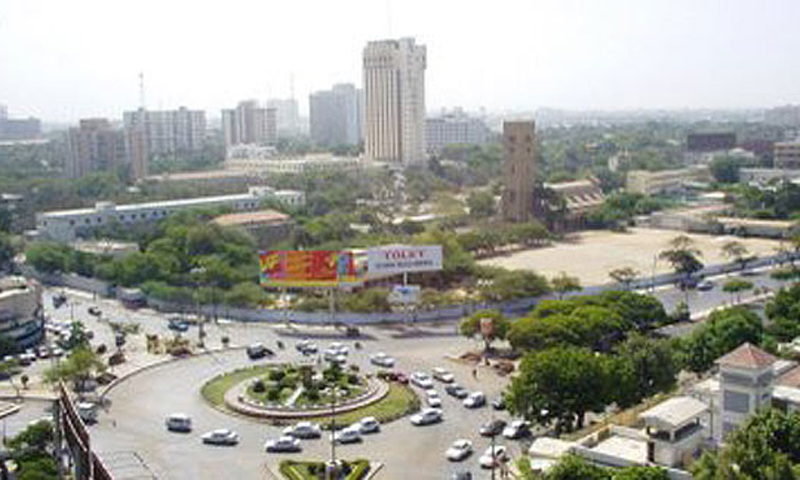 They foresee more projects in 2014 in areas like Bahadurabad, Khalid bin Walid Road, Bath Island, Clifton, Defence, and in parts of Gulistan-i-Jauher and Gulshan-i-Iqbal. Areas like Scheme 33, Super Highway, Gadap Town and Northern Bypass, where construction could be carried out at mass scale, could not be explored to its full potential due to shaky law and order situation and land grabbing. A positive point, however, is that areas like Gulistan-i-Jauher have seen a facelift as they got stabilised in 2013. Association of Builders and Developers (Abad) acting chairman Saleem Kassim Patel told Dawn on Wednesday that builders would continue unveiling new high-rise projects in 2014 because of scarce land and high demand. �I expect over 100 housing projects worth around Rs40bn-50bn, mainly residential apartments, in 2014 in Karachi compared to 70-80 projects in 2013, provided law and order situation improves,� he added.Construction and housing industry, however, still face many hurdles and one of them was lack of housing finance facilities. Mortgage-to-GDP ratio in housing finance declined from one per cent to 0.70pc. Disbursement of finance by House Building Finance Corporation was just Rs1bn compared to over Rs3bn in 2007-2008. �We can only hope that house building finance will increase manifold in 2014,� Mr Kassim said, adding that private sector banks were not too keen on catering to make disbursement in housing finance. Builders are facing a moratorium in Karachi on new domestic gas connections to residential/high-rise buildings in Karachi since October 2011. However, new high-rise buildings are coming up fast. He said Abad has received requests from 10,000 housing units worth Rs40bn for gas connections which have been refused by the relevant utility company. Sui Southern Gas Company Limited had already urged the government in September 2013 to remove the moratorium, saying that houses require much lesser than other users, and difficulties faced by the end user are immense. The estimated gas requirement for all pending applications of flats/high-rise buildings is only 1 mmcfd (million cubic feet per day), if all 10,000 applicants (estimated) are given gas connections. Besides housing and apartment, construction activity may also get a boost in the current year in view of planning of large-scale coal and nuclear power plants.